The space below is dedicated to the memory of Canadians who have died of hepatitis C, or who have given exceptional service to this cause. 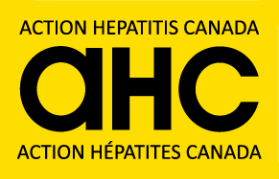 The memorial lists of the Hepatitis C Society of Canada (HeCSC) and HepCBC have been merged here. If you have new memorial information about an individual you think should be added to our list, please upload it to us in the form provided below. It may take several days for the new individual’s name to show up on the list. Thank you. We at HepCBC are saddened to hear of the death of one of our faithful volunteers, John William Lawson, known to us as Will. He, along with Val, his loving wife of 35 years, daughter Tamara, and grandsons son Elijah and William (LiaM), were residents of Victoria, BC. He was a co-editor of the hepc.bull, and did many of the summaries of the medical articles, as well as proofreading. We were well aware of his battle with hepatitis C and with NHL and liver cancer. He was a very sweet, quiet person. Lorie passed away peacefully on June 10, 2016. Born in 1938 in Saskatoon to Myrtle and Palmer Pederson where her big brother Donnie (Donald), “brat” as she affectionately called him, was waiting for her. The Pederson’s moved to Brantford, Ontario where they raised their children. Lorie was involved in scouting and was Akela for the local cubs. She started babysitting at age 9 and working for Woolworths at 14. As she grew, Lorie loved fishing, dancing on weekends, and going to Hamilton to watch her Tiger-cats play. After high school graduation she went on to nurses training at Brantford General Hospital where she graduated in 1959. After a vacation in Victoria, BC, Lorie fell in love with the west coast. She made it her permanent home in 1961. Lorie’s effervescent personality won her many friends and dates but, it was through her first job at St. Joseph’s hospital that she met her future husband David Shaw. They were married in 1962 and were together for 43 years until his death in 2006. They had 3 daughters whom they raised in Victoria. Lorie worked in various areas throughout her 40+ years of nursing. She was highly respected and admired by the staff and patients who had the privilege of knowing her. Her career gave her many lifelong friendships both in Brantford and Victoria. Lorie enjoyed curling, playing bridge and coaching girls softball. She also enjoyed the simple pleasures in life such as afternoon tea, drives along Victoria’s water front, ice cream cones from the Beacon Drive-In, feeding the ducks at Beacon Hill Park and summer days swimming at Elk Lake. Lorie was on the board of directors of HepCBC, along with her husband, for many years. They helped to raise awareness of HepC and provided hope and support to many. The love of Lorie’s life was her family. Although, some would argue, it was shopping! She always tried to be off work for every celebration and made sure she made everyone feel special through her gifts and hand written cards. She gained much satisfaction from giving to others and seeing their joy. Lorie always put others before herself. She leaves behind her daughters Debbie, Shawna, and MarLynn. She also leaves behind her son’s in law, Marcus, Jon and Quinn., her grandchildren, Tanner, Dakota, Kiera (Cortez), Spencer, Shelby, and Jackson, and her great grand-daughter, Annelise. THOUGHTS: Over the last few years, HepCBC has tried with mixed success to gather a team of Lower Mainland-based volunteers to help support hepatitis C patients coming to Vancouver hospitals. We hope that HepCBC will be able to find a church or service club (or two!) which will work with us to help support people such as Dale and Judy who come to the Lower Mainland for hepatitis C care and transplants. For example, volunteers are needed with time and energy to just sit and be there talking or playing cards, etc., or to provide help with driving to and from appointments, or with grocery shopping, laundry and cooking (particularly for unaccompanied out-patients before and after transplants), or to simply check in from time to time to make sure all is well. If you can help us to find such people or a group of people, please let HepCBC know! McCULLOCH, Allen Glen September 17, 1953 – July 11, 2015 On Saturday July 11, 2015, our beloved Allen passed away at home in Mill Bay, B.C., with his family by his side. Born in Vancouver, B.C., September 17, 1953. Allen was a loving, devoted family man and a loyal friend with a big heart, he had beautiful eyes, a warm smile and an infectious, hearty laugh. Passionate always, living his life to the fullest. Always game for any adventure, loved people and was happiest when he was out in nature or “making things happen”, volunteering, cooking, entertaining, sports, firefighting, working and public service. His extensive travels around the world brought him many, cherished lifelong friends and helped develop his vast knowledge of the world he loved. Predeceased by his loving mother Alma, father Glen, and his sister Valerie. Sadly missed, fondly remembered and will be loved forever by his partner Susan Malloch and her large clan, including 7 grandchildren, his two daughters Jenn and Sarah and their mother Diane, his sister Anne Klein (Steve), niece Kelly Little (Mike), nephew Patrick Scott (Jenn), 5 great nieces and 1 great nephew, and his 5 loyal canine companions. A celebration of Allen’s life will be held on Saturday, August 15, 2015 at the S.V.I. Rangers Hall at 3498 Luxton Rd off Happy Valley Rd., 1:00-4:00pm. Sincere thanks to the staff at Coolaid Clinic Victoria, HepCBC (which Allen was a valued board member), and 4 south RJH. If desired any donations to HepCBC in Allen’s honour would be much appreciated. Lisa Harnois, of Cranbrook, BC, former administrative assistant at the Ministry of Education, has been my friend and Facebook friend for years. I met her at our support group meetings in Victoria. As it tends to happen, I lost contact with her, when she stopped answering my messages (2013) but the other day, received a notice that it was her birthday. I went to her Facebook page and discovered from the messages there that she had passed away. We have lost one of our finest advocates, Beverly Arsenault. Beverly, originally from Roshtern, SK, was a resident of Penticton. She leaves behind her husband Ron, their son Adam and daughter-in-law Kelly, grandson Finley, and three older sisters, Shirley, Deanna and Dolly. Beverly began her career as a nurse in 1971 in Saskatchewan and BC. She worked in Critical Care in Penticton, and completed her degree at UVic in 1991. She taught her chronic disease patients that such diseases can inspire people to be positive and strong, rather than burden them with a “disabled” label. Besides nursing, she was a talented singer and pianist and story teller. Her hobbies included reading, travelling, cooking, camping and bird watching. We at HepCBC feel very honoured that she and her family would be inspired to request donations on our behalf in memory of her work. My father, Keith Stanley Jewell, son of Percy and Marie Jewell, was one of a kind. He was a very hard-working, kind-hearted, and all around fun-loving guy who was discreetly battling Hep C behinds scenes. He was born a Christmas baby December 25, 1957, and raised in the town of Guelph, ON. He came out to British Columbia in search of new opportunities, fell in love with this beautiful province, and eventually made it his permanent home. My father really enjoyed being outdoors, and being in the company of his friends and his family. He would never give up a backyard BBQ, corn roast, fishing trip, or road trip for anything. He was a very proud man, and chose to live his life the way he wished right up until the last of his days. I wish that he would have been more open about the disease, so the rest of our family could have encouraged him to start treatments or slow down his busy “on the go” lifestyle long before. Perhaps it could have given him a little more time here, but he chose to deal with his situation the way he wanted, and that was on his own. Things were getting noticeably worse over the last year, and it progressed very fast. He had to stop working doing what he loved, his career of 35 years as a welder, as his body was becoming too weak to manage the duties of that job. I can only imagine how hard that must have been for him internally. He worked right up until 7 months before his passing. He was my best friend and my sensei. I am so much a daddy’s girl, and will always be his little girl. He passed away on December 18, 2013 at the age of 55 in his home, where he planted his roots, and where he wanted to go. I am very grateful for that. Funeral arrangements will be announced to friends and family in the early spring. Thank you for providing my dad with a great evening read on topics and information that he could relate to. Ken died in Trail Hospital, and his memorial service took place on August 31 at the Grand Forks Funeral Home. He is survived by Teresa and her spouse Brian, by his son Dylan, and by his sister Debra, his brother Jim, and their spouses Brad and Connie. He will be missed by Tamara, Mitch, and Andrew, his niece and nephews, and of course, his friends and other relatives.Ken worked for ANKORS, and was one of our most important, trained advocates. He did a lot of outreach work with youth. He had a good mind and excellent organizational skills, so it was a pleasure to work with him. Ken was in charge of what is now the PHCN (Pacific Hepatitis C Network)…what we used to call the “Circle.” HepCBC was the agency of record, so I had the honour to work with Ken back in those years, fixing all the little glitches that would come up. Ken was a member of our Yahoo! group HepCan. You can search his posts there, and get to know who he was and what he stood for. Unfortunately, his health made it necessary for him to cut back on the work he did, and he eventually left his position of leadership with the “Circle”, and we lost touch. But he has not been forgotten. His friends at ANKORS were extremely upset to hear about his death. He was not only a co-worker, but a best friend. He truly cared about his “clients,” and was always looking for ways to make a difference in their lives. Our dear friend Arlene passed away, and we didn’t find out about it until now. She dedicated hours and hours of work to us at HepCBC from 2000 through 2003, even after her husband Frank, one of our founders, succumbed to Hep C.
Arlene was on our Board as Treasurer, and with her brilliant mind, was a wonderful asset to the group. Arlene was also predeceased by her daughter Pamela, of whom she spoke often. Surviving her are her children Joe (Brenda), Laurel, (Greg) Feal, Tara Drake, and Thomas (who also volunteered with us), and her grandchildren Kenny, Akemi and Jojo. We are happy to reconnect with the family through Laurel, who recently contacted us. Alana, daughter of the late Phyllis and Alan Hardy, was predeceased by her brother Richard and her first husband, Joel Smith, and survived by her sister Lisa Morrow, and her children Joel and Jennifer, her second husband, John Montgomerie, and their daughter Johanna. She attended Huberside College and York University. Alana’s first job was at the Globe and Mail. After that, she worked at The News and The Review in Richmond, promoting women in the community through her Ethel Tibbits Woman of Distinction Award and the insert “Women in Business.” Although she lived in Toronto for half her life, her home was the West Coast. Alana stopped working after her Hep C diagnosis and began writing in earnest. She published several short stories. She got her Creative Writing Certificate from Humber College. Some of her stories were featured on CoOp Radio on May 22nd. She dedicated many years to the disadvantaged, and many remember her on the corner of Main and Hastings, giving Christmas toys to random children or serving countless Christmas and Thanksgiving meals in conjunction with churches, AIDS Vancouver, Crabtree Corner and the Salvation Army. Alana’s grandchildren, Jackson, Ronan, Sofia and Axel, Joshua, Alexandra, and Noah, Elias and Athena, are missing her games, stories, and expeditions. Alana also had step-children—her “Toronto Family”—including another 6 grandchildren. The family suggests donations to the Chatamilu Project Scholarship Fund. Make cheques payable to ‘Vancouver Monthly Meeting’ with earmark scholarship fund and send them to 103-8644 French Street, Vancouver V6P 4W6. Born in Cumberland, BC, Gloria was living in Comox, BC. You can still find her on Facebook: gloria.adams.7315 Gloria was a bookkeeper, a Hep C advocate, a widow, pre-deceased by her husband Dave Adams, and the mother of Shon Garraway. Gloria educated herself about Hep C. She attended conferences. She supported other sufferers. She wasn’t shy. She was interviewed in the news a few times (Vancouver Sun, Comox Valley Echo, Victoria Times Colonist and Postmedia News). She made a difference, as is evident from the numerous comments of members of the Yahoo! hepcan list and comments and thanks left by her Facebook friends. “Every now and then, there is a quantum leap in science and technology. We are seeing that here. Victory is in sight.” — Dr. Eric Yoshida, Head of Gastroenterology at UBC and VGH, and of the BC Hepatitis Program. A few days ago in Victoria, friends and community of Jade Hood (born April 1951, died October 2012) gathered to celebrate this artist and strong fighter for social justice, Jade was a survivor of so much pain and suffering in her own life, but once she found her voice she made it her mission to speak out honestly and forcefully on behalf of the most vulnerable in society. She never lost her humour, her creativity, or her incredible humility. Thanks, Jade, for presenting at HepCBC’s 2011 AGM, and allowing us to use your artwork on our pamphlets. Jade is the lovely lady on our homepage slideshow with the caption, “Use your creativity to develop a healthy spirit.” Jade inspired so many people – especially women – to take command of their lives. She showed us how to share our stories, and to make sure misfortune and stumbles early in our journeys don’t define who we are, limit how far we can go, or determine our final destination. Create your own moment of silence to honour what Jade stood for; thanks, we’re going to miss her. He helped many with the red tape involved in applying for compensation, and spoke for victims with his “booming, powerful voice” in court. John’s input was instrumental in ensuring the changes leading to the safer blood system we have today. He held office in Hemophilia Ontario and the Canadian Hemophilia Society. He was a close friend of co-infected lawyer/advocate James Kreppner, hemophiliac, who passed away in 2009, at age 47. These are great losses for our Hep C community. Allan Shoebridge was born in Royal Tunbridge Wells, Kent, England, on August 9, 1949, and passed away on June 16, 2012, in Surrey, BC, after a 7- year-long, courageous battle with cancer. Allan and his family moved to Canada and he grew up on army bases all over Eastern Canada. He was very active in sports, especially baseball and basketball. He majored in English and History at York University, Ontario. Later, he moved to BC. He was an employee of Canada Revenue Service before retiring. An avid sports fan, he spent many happy hours coaching community baseball and softball leagues, as well as volunteering for HepCBC as a board member (2005-2007), and for Meals-on-Wheels. There was something about him that made it natural for him to strike up a conversation with total strangers and walk away, having met new friends. Allan was pre-deceased by his father Cecil and mother Mavis. Mourning him are his son David and grandson Perrin, his daughter Erica, grand-daughter Grace and grand-son Jonah, and his son Bryan. Also left behind are his brother Keith, and his sisters Lynn Albrecht and Toni, along with their children, his former wife Lois Dixon (mother of Erica and Bryan), her husband Scott, his first wife Sandi Garber (mother of David), and his present wife, Joan King, her children Tony and Jeanette, and her grandchildren, along with many beloved nieces and nephews and assorted in-laws. Many thanks to the medical staff at Surrey Memorial Hospital for their kind care. Ria’s contact information could be found listed in the hepc.bull from December 2000-February 2003, and was listed in other Hep C websites, as well. Condolences from the Hep C community to Ria’s family. On Monday, January 23, 2012, Jan Chichak passed away at the age of 69 years. She was survived by her loving family, husband, Alec, of 33 years; three sons, Travis Branter, Dwayne Chichak, and Darren Chichak; ten grandchildren, Chelsey, Khain, Sutten, Tayt, Kaitlyn, Shealynn, Khyia, Kianna, Kohl, and Juhl Ann; great-grandson, Adam; two brothers, Don Grant and Gordon Grant; sister, Barbara Madsen; as well as numerous nieces, nephews, extended family and dear friends. A celebration of Jan’s life was held on January 28, 2012 at the Evergreen Funeral Chapel, Edmonton. In lieu of flowers, the family requested that donations be sent to HepCBC. short conference, he inspired me and others to get support groups going in small communities as well as large. He taught us the power of persistence. Please convey my sincere condolences to those who missed out on this part of his life. Suffice it to say he spread hope and happiness to many people who didn’t have a whole lot of either,” Cheryl told our editor. Gordon’s life was celebrated in a memorial service in Vernon on January 28. “Nova Scotia’s politicians have lost one of their sharpest critics and this newspaper one of its more prolific letter writers,” commented Davene Jeffrey of the Chronicle Herald. Our friend Bruce was a hemophiliac, and contracted Hep C in 1986, from a contaminated clotting agent. He had been on Hepcan, one of our community’s Yahoo! Groups, for years…probably since the first year it began. I would always send people to him for help with their compensation issues. I can remember meeting him in person at the Montreal conference in 2001. There was a session about compensation. Bruce had brought his papers with him…a stack probably about 6 inches thick. He was protesting the amount of paperwork and red tape involved to obtain compensation, and he ended up throwing the papers on the floor in justified disgust and stomping out, to the consternation—and a certain amount of glee—of most present. I know there were many there who felt the same. Some of us remember how Bruce worked incessantly to get May proclaimed as Hepatitis C Month. Bruce continued to advocate for us even after he obtained his own compensation. He began to be involved with politics and actually ran for office in 2008. His last battle was waged against Halifax’s proposed sports stadium, with a letter published on February 16, 2011. Perhaps not everyone agreed with him, but most admired him for his convictions. Bruce is survived by his wife Ruth, his mother, his son Troy, and grandchildren Liam and Ashlynn, whose photos he shared proudly with his friends. We shall miss him.—JoanKing, editor. Our dear friend Kelly O’Dell died in her sleep on July 10. We received a phone call from Donald’s wife, kindly letting us know that he passed away. Donald, of Victoria, BC, was one of our original subscribers and donors—a lifetime member of HepCBC. Sheryl (Windsor, ON) was a member of the HepCan Yahoo group. She is missed by her family, including her son Jeremy and daughter Melanie, their spouses, and their children Nicole, Matthew, C.J., Aimee, Megan, Joshue and Jaxx. Donations for hepatitis research would be appreciated by her family. Dianne passed away May 1st 2010. You may not have noticed her or the work she did, but she has been quietly providing support for those in and near New Westminster, BC for over 12 years. Her support group first appeared in the December 1998 issue of our hepc.bull. Their meetings were in the First Nations’ Urban Community Society, which used to be on Agnes Street, and later moved to Carnarvon Street, and were held on the second Monday each month. Dianne provided phone and email support. I met Dianne in person at the Montreal Conference in 2001. I am inserting a photograph of her at that event. It wasn’t the last time I was to run into her. We were in contact over the years, and she came to my home for a meeting when I moved to Surrey. She hadn’t changed a bit…visibly. She was always elegant and composed, always supportive. I included her in my monthly calls once we got our support group in the Lower Mainland up and going. By then Dianne was providing only phone support. She had been diagnosed with esophageal cancer. I always hoped she could join us again, but at least we were able to keep in touch. Dianne will be missed by many family members, those she supported, and especially by her husband John. Mr. Holmes, of Qualicum Beach, contracted hepatitis C through tainted blood when he was injured in 1976. He was a faithful subscriber to the hepc.bull. Doreen Stalker passed away peacefully on January 28th, surrounded by the love of her family, just as she had surrounded them with her love through life. She was born July 13, 1931 in New Westminster, BC, to Duncan and Florence Campbell, and married July 3, 1959 to Andrew Stalker in New Westminster, BC. Doreen and Andy moved to Smithers in July 1961. Doreen was a teacher for 28 years, and taught at McBride Elementary School, New Westminster; Muheim Memorial Elementary School, Smithers and Walnut Park Elementary School, Smithers. Doreen was involved with the Lion’s Club and the Hospital Auxiliary. In 2002- 2003 Doreen was awarded the Volunteer of the year Award from the Town of Smithers. She volunteered at New to You, collecting and restoring approximately 1000 stuffed toys for Christmas hampers a year. Doreen loved line dancing, scrapbooking, good friends and loved all types of animals. Because of contracting hepatitis C during her first heart surgery, in 1984, Doreen was instrumental in organizing a support group for people with hepatitis C.
She is survived by: husband Andrew Stalker, children Cindy, Elliott, Nancy, Glen; grandchildren Clint, Jason, Samantha, Holly, Kelsey, Amy, Drew; and sister Bev. During his life, Herb Moeller took all this life threw at him–the good and the bad–and made a life only some of us dream of. He was a man of pride, strength and unshakeable character. From the simplest place, he was Stephie and Linny’s dad and Dianne’s husband. He loved with greatness and had high expectations for his rate of return. He got all of his love back from each one of us in overwhelming affection and loyalty. Herb landed in Canada from Germany in 1967. He had his own Graco franchise and was one of the top distributors in Canada. His plan was to buy more franchises and build a small business empire, but on January 12th, 1984 Herb was in a workplace explosion. He suffered third degree burns to over 75% of his body and 2nd degree burns to 25%. Herb spent over 6 weeks in a medically-induced coma and 7 months in the burn unit at VGH. After numerous plastic surgeries to reconstruct his badly disfigured face and hands, he finally came home, but he did not sit around and wallow in self-pity or complain. He went to physio, rebuilt his life and started the first Burn Survivour support group in BC. But his energy level was very low. Herb was diagnosed with Hep C in 1989. He had 120 blood transfusions in the hospital. He started the BC chapter of the Hep C support group and sat on the volunteer board of directors to the Vancouver Richmond Health Board. He went to Toronto and sat on the board of directors for the dissolution of the Red Cross and the creation of the Canadian Blood Services, thus having a say and a voice for how blood products are now tested and collected. Herb, along with Kline Lions, had all he needed to join forces and begin the process of initiating the cross-Canada class action lawsuit for tainted blood victims, so thousands of people who were infected with Hep C were finally compensated, but more importantly, validated. He was looking forward to a trip to New Zealand with his wife Dianne and a family holiday with his daughters and their husbands to Hawaii, but suddenly fell ill with complications from Hep C and ended up in VGH, where, after 5½ gruelling weeks, he passed away on November 6th with his wife Dianne sleeping beside him. I met Sandra, whom I then knew as Ane Palmo, in person way back in 1998 in Victoria, when she attended our HepFest/Run for Life event, and we remained in touch from time to time, sometimes in Seattle, or through email and Facebook. She was always a source of inspiration for me, because I knew how sick she was, and she just kept going and giving of herself. Sandra, one of our financial donors, was a very hands-on, grassroots activist in the Hep C Movement and her loss will be felt. She was much beloved in our community. Sandra is survived by her long-time companion Dale Johnson, her adult children Jack and Shanti, and beloved grandchildren. Sandra’s Tagline: “Don’t take your organs to Heaven. Lord knows, we need them here.” Sandra (or Ane or Tara or Lama Kunga Palmo…depending on where/when you met her during her life journey), a Buddhist nun, lived in Seattle and founded the hepatitis C education group Frontline Hepatitis Awareness. She was a long-time member of the online groups HepCan and HEPV-L. She visited patients in the hospital and supported the dying. She organized many awareness events. She had a special interest in holistic medicine, poetry, and praying for us all. James Kreppner, like many of our community, was too young to die. While we have suffered a great loss with his passing, our cause has been greatly enriched by his support and advocacy. CBS (Canadian Blood Services) lowered its flags to half-mast all across Canada out of respect. Dignified. Dedicated. Professional. Passionate. Eloquent. Graceful. Courageous. Those are words his co-workers and co-sufferers have used to describe him. They remarked how he never brought up his own disease unless encouraged, and never complained. His proud presence was enough to make his point. His is also a love story. He invited Antonia (Smudge) Swann to his high school senior prom. They both enrolled in York University. When she was seriously injured in a car accident, he offered to share his apartment so she wouldn’t have to commute, and slept on the floor so she could use his bed. Their friendship turned into a life-long, loving and supportive relationship. Just two weeks before James died, she completed her thesis for a doctorate in economics. “He was fighting until the last minute,” she said, and explained that they were investigating the possibility of getting a transplant. “But this time it was too much, and he finally said to me, ‘I’m tired. I don’t want to be intubated.’” James’ latest crusade was to protect the blood system by restricting high-risk donors, citing the probability of still- unknown pathogens. “He wanted us to put safety above all else,” Antonia said. Marilyn Timms was one of HepCBC’s most faithful members, and we will miss her kind support. She leaves behind another of our favourite supporters, Lori, and her son Rick, along with two grandchildren and many dear friends and relatives. Marylyn had been recently diagnosed with liver cancer, and even though she had a live donor, she was not referred to a transplant team. It was too late. One of the things for which her friends remembered her, as we do, was her generosity. Marilyn always included a lottery ticket each time she gave us a donation. Once we won $5.00! She also was a cat lover, and her family asks that donations in her memory be made to the SPCA. “Chris Laird, a popular community activist of the Downtown Eastside passed away on January 4th, 2008. Chris cared about his community and was a board member of D.E.RA., Carnegie Community Centre Association, for many years. The Diabetes Foundation invited Chris to attend and speak at many diabetes events.”—MargaretPrevost. Carnegie held a celebration and memorial of Chris Laird’s life on January 30th, 2008 at 4 PM in the Carnegie Theatre. From the Downtown Eastside Enquirer, Jan. 5, 2008: “Chris deserves a lot of credit for a life time of always trying to make people’s lives a little better. He always had time to tell a joke or a story, and he always noticed when you were down. As a long-standing volunteer, he was never abusive, and always positive. HepCBC has lost yet another previous board member. Monique died at the age of 59. She is survived by two daughters and a brother, her long-time partner Andy Lenow, two sons- in-law, and her 5 grandchildren. Monique will be sadly missed by many other friends and family. She is fondly remembered for her love for, and work with, physically and mentally challenged adults and youth. Monique was one of HepCBC’s first board members, and our very first volunteer coordinator. Even when she could not continue coming to meetings, she would call to give encouragement and support. She went to our office for our last Meet & Greet. burning in the air, but seen none? softly brush past your feet? rip through your breast like a sword? Have you ever felt his hands in yours? Topanga died at home Saturday Nov.25, 2006. Feisty until the end, she now goes on a journey to find her beloved brother, Randy. Born in Victoria on Oct.29, 1952, she was always an Esquimalt girl at heart and her happiest memories were of the years working at the Esquimalt Rec. Center. Topanga leaves behind her devoted husband, Alan, children, Ezra and Elicia, mother Mona Brown and sister, Kathy Deane and family. Mala and Zambuca will miss her greatly. In lieu of flowers please make donations to Victoria Hospice. Special thanks to the Westshore Community Care nurses and everyone involved with the Palliative Care Unit. Editor: Topanga was a regular member of HepCBC, and a zany, delightful character! Thank you, Alan, for the obituary. Dave had a booming voice, warm smile and belly laughs that were infectious! Dave was known all over Victoria. He was known for his beautiful baritone voice, he sang in a barbershop quartet and sang in HMS Pinafore among other productions. He umpired baseball professionally (one of the best) and he and his wife Lorie coached and rejuvenated the Gordon Head Girls Little League. He always rooted for the underdog, loving the Canucks, Lacrosse and all sports in general. Children filled his life, as he did theirs, with pure joy. When you visited Dave you were always welcomed with a smile, a coffee or some food, mostly all three. He was a kind man who would help anyone in need. He was at home in Pop’s Fix It Shop, making all kinds of projects. Dad made toys for the Children’s Ward at VGH; his impact will be felt in the toy rooms of the region for the foreseeable future; a master carpenter who much preferred the title “Jack of all Trades, Master of None”. He dedicated many years and ceaseless effort to the cause of hepatitis C awareness. The family requests that in lieu of flowers, a donation be made in his memory to HepCBC, telephone: 250-595- 3892. Our community has lost another of its young warriors. Neil Van Dusen, 48, of Lower Sackville passed away after a long battle with hepatitis C. Neil worked for Canada Post, was vice-president of Canadian Union of Postal Workers, Breton Local, and served as president of the Nova Scotia Chapter of the Canadian Hemophilia Society. He was a hockey coach and enthusiastic fan. He leaves behind his wife Kim, his 4 children and their families, as well as 9 siblings. His brothers Eric and David predeceased Neil-five of the brothers were infected with hepatitis C from the blood system. I had a nice, interesting chat with Priscilla, a member of our local chapter, the other day, and found her to be a most interesting, charming person! Did you know that she was born in Brazil, and lived there until she was 28? She was a nurse. Now, I’m not just gossiping about her without her permission. She kindly said I could print her story in the news bulletin. I asked, because I heard that, besides having Hep C, she was diagnosed as having cirrhosis 40 years ago! Personally, I find this very inspiring, so I proceeded to try to find out how she has succeeded so well in battling the Hep C dragon. I asked her about her symptoms: At first, she had none. She lived a normal life. Once in a while she’d get yellow eyes and bloating — of course, she didn’t know she was sick. She says if she takes any drug or doesn’t follow herdietary regimen, she gets stomach problems. She has chronic diarrhea. She also has trouble walking- – a flu shot affected the nerves in her arms and legs a while ago– but she says it bears no relation to hepatitis C.
She was diagnosed with hepatitis C in 1989 or 1990. She had been diagnosed as having hepatitis Non A-Non B in the 80s, which was probably contracted during an operation 40 years ago, to remove her spleen. She doesn’t think of herself as sick. She gets itching, usually together with liver pain once, in a while. She will occasionally take 1/2 Tylenol for pain. She’s never had a biopsy. Her CAT scan doesn’t show any scarring. I asked how they decided she had cirrhosis, if they haven’t done a biopsy. She says they saw the cirrhosis during her operation, but they didn’t say it was because of hepatitis. She rarely drank alcohol, and never drinks now. Years ago, her symptoms were worse. We discussed the possibility that perhaps she had hepatitis A or B, and it was cured, and then got hepatitis C.
What does she to do stay healthy? She has eaten organic produce for 2 years now. She doesn’t eat red meat, nor does she drink alcohol. Her diet is low in fats, and includes lots of fruits and vegetables, especially carrots and beets. She has to take antibiotics occasionally for kidney problems. She eats low fat fish and drinks mostly fruit juices, and she takes digestive enzymes by Swiss Remedies (500 mg. a day) which contain pancreatic protein, lipase, pancrease, and alpha-amylase, amyloglucosidase, cellulase hemicellulase, and lactase, but that’s been just recently. She’s taking CoQ10. She drinks skim milk with Lactaid. She does eat yogurt and gelatos. So, as I said, her cirrhosis was probably not caused by hepatitis C, but she has had cirrhosis (diagnosed 40 years ago), so I presume she still does, and she has hepatitis C. Pretty amazing! Thank you, Priscilla, for sharing your secrets with us. “For a number of us in the hepatitis groups, Brad may best be remembered for his excellent sign holdings at our information rallies and protests. Brad also co- presented with me at the Hep Circle meeting in Nanaimo on the nutritional supplement for those with hepatitis C. He may perhaps be remembered for his booming laugh and infectious giggle, which could break out at the most inopportune times! Brad was so young, and a new father. I hope life will not be too hard for his partner and son. Rest in peace, Brad. You will not be forgotten!”-Carol Romanov. Brad passed away at Victoria General Hospital after a long, hard fight with Hep C. He is survived by his fiancée Kimberly Harrison, their baby son, Kolby Jordan Dean Cummings, two step-daughters, his parents Diana and Gordon Cummings, brothers Gordon and Edward and their wives, plus many more family members, friends, and grateful clients. A service was held on August 5th. Sharon, of Vernon, BC, was diagnosed 1997. Her way of coping was to help others. That same year, she formed the Vernon support group, running the office from her home. Her main goal was that doctors be educated. Brad Kane, Princeton Support Group, sent this: She fought and worked hard for a long time and was dedicated to the cause of people with HCV. We were counterparts, in the sense that she did her support work in the north Okanagan and I in the south. We always held a mutual respect for each other. We met occasionally at high profile conferences and learned that we both shared an appreciation for “common sense”. She was tough, and she made me grin. Thanks be to God for giving us Sharon Grant. Ramona Rondeau passed away on October 15, 2004, at age 50. Although born in Alberta, she lived most of her life here in BC, and left behind three grown children and three grandchildren to honour her memory. She is survived by her parents and her boyfriend, John Black. An artist, Ramona is remembered as a friendly, happy person who helped everyone in need. She was diagnosed with hepatitis C many years ago, and died of liver failure and pneumonia. This picture was a favorite of her family, and was taken in February of this year. Jean moved to Victoria in 1942 from her native Alberta. She worked at Woolworths and in 1946, joined the war effort, counting rivets at VMD. After the war, she worked at Atherton’s and other pharmacies, as well as at Grower’s Winery. In 1987 she was transfused with tainted blood. I never heard her complain. Jean is survived by her husband Alan; children David, Brian (Mariette), and Patrice; granddaughter Tarot; siblings and their families; cousins, nephews, and nieces. We were sorry to hear that one of our subscribers, Albert Lockey, a resident of Surrey, BC, passed away on February 13, 2004. His wife Marian notified us. Our thoughts are with her. Born November 3, 1940, Rudy Lang, a resident of Kitchener, ON, passed away in March 2004, unexpectedly. He was our friend. Rudy was a quiet person, and went about supporting people with Hep C in his own quiet way, accompanied by his hedgehog Spiky and his ex-girlfriend Brenda. He was diagnosed with liver cancer back in 1999, and received treatment, and finally, a transplant in November of 2001. He had been infected by the blood supply, but I never heard him complain. He kept us entertained with his wacky sense of humour. Rudy founded the HepCAN list, armed only with his treasured Atari. He was pax@golden.net. May he rest in peace. We have lost another long-time member, “Sir Howard”, and would like to pay tribute to him. Howard is survived by his wife of 44 years, Helen, who is still a subscriber, 2 sons, 2 daughters, 6 grandchildren, 2 brothers, 3 sisters, and many nieces, nephews, cousins and in- laws. As a member of the Royal Canadian Navy and reserves, Howard visited many countries and received many medals. In 1953, he served in Korea on the HMCS Iroquois. He worked as the Market Food Service Manager for the T. Eaton Company. Howard is remembered for his smile, humour, generosity, and class. His hobby was cooking, and his recipes were in much demand. Douglas was a resident of Powell River and a long-time subscriber to the hepc.bull. He was actively involved in the labour movement for years, and was the Local 76 delegate to the Powell River and District Labour Council. He is survived by his mother Margaret, a sister, Leslie, two nephews, and other relatives and friends. The recent death of Dr. Stephen Sacks is a great loss to those of us with hepatitis C. Dr. Sacks was an expert on viral infections and their treatment, and worked with antiviral drugs since 1978. His accomplishments are too numerous to fully name here. From 1980 to 1996, he was on the faculty of UBC, where he was Professor of Medicine and of the Department of Pharmacology and Therapeutics, and was a member of the Division of Infectious Diseases. He authored many scientific papers and chapters in medical textbooks and actively participated in dozens of clinical antiviral trials. Dr. Sacks served on the advisory boards of many pharmaceutical and biotech companies and on the editorial boards of several scientific journals. He was also the president of the Viridae clinic, an antiviral drug development company and research organization in Vancouver. We at HepCBC were honoured to have Dr. Sacks as a speaker. He was much respected and appreciated. Dr. Sacks was the father of two children. One of our fellow sufferers, Sharon Metcalf, passed away on May 27, 2003 at the age of 47. She was predeceased by a daughter and 3 siblings. Her youngest remaining daughter, age 16, is living with Sharon’s mother in Victoria. Sharon was a talented songwriter, and will be missed by her family and friends. Our friend and supporter John F. Crooks, a resident of Nanaimo, passed away on July 16, 2003. He was in his early 50s. The son of Elizabeth and Cecil Crooks, he is survived by many friends, a brother and an aunt and uncle. John was a retired government clerk and an avid stamp collector. His wishes were that donations be made in his memory to the Hemophilia Society or to a hepatitis C organization of your choice. Gilles, a member of HepCBC, passed away on Aug 26, 2002. Family members of Jean Patricia Meier announced her passing on November 10, at the age of 48. Patty lived in Elko, British Columbia at the time of her death. She is survived by her mother, 2 sisters, 2 brothers, and several nieces and nephews, along with many other relatives, her best friend Rae Duthie, and several extended family members. Patty was pre-deceased by her father. Who was he? A statistic. Someone killed by the hepatitis C virus. He wanted the final, official acknowledgement of his existence here on earth to clearly state that HCV was what killed him. Not organ failure, internal bleeding or some other non-specific euphemism; he was killed by hepatitis C and he wanted that to be clearly counted. Brian was not afraid of stigma or controversy. He called them as he saw them. To him, it didn’t matter whether you were a teenage junkie or a blue haired dowager. If you had Hep C, what you had in common was a lot bigger that than petty differences. And if you didn’t have Hep C, he would educate you in such a way that you would ask, “How can I help?”, because you knew that could easily be your life. Brian was a big man with big energy and a bigger heart. He truly loved and believed in people. Whether it was the SPCA, a theatre group, his church or the Hep C community, he had a way of showing people that he genuinely valued them. When George Marcello was walking across Canada to raise organ donation awareness, Brian drove to a lonely stretch of highway on the BC/Alberta border to welcome him. He would prepare a hundred meals for a community dinner with the precision of General Patton and the good humour of St. Nick. Last year, even though he needed an electric scooter to get around, he drove three hours to our local Fall Fair to quietly show his support for a Hepatitis C Awareness display. Last month, he needed oxygen to breathe, his face was gaunt and his belly was distended so he used that image to highlight a full-page article in the local paper on the need for early diagnosis and better access to home care. About three weeks ago he knew he didn’t have much time, so he threw a party. There must have been a hundred people in his backyard, along with guitarists, singers, a belly dancer and his crazy collection of disco lights. Smiles and laughter mingled in the warm summer night breeze with an unspoken sense of foreboding. On August 11, 2002, surrounded by his family, his body quit working. Perhaps he left on that same breeze. For his wife, Diane, and their two daughters this is a time of heart wrenching loss. For the rest of us, this is an opportunity to examine our own lives for signs of love and fearlessness. Late of Brentwood Bay, British Columbia passed away on May 20, 2002 in his 76th year. Born July 4, 1926 in Vancouver, British Columbia, Frank was an avid fisherman and outdoorsman. He was an active and committed member of many community associations including the Oak Bay Kiwanis Club and the Golden Rods and Reels Senior’s Fishing Club. He spent over 37 years in the telecommunications industry and was a life member of the Telephone Pioneers of America. He will be sadly missed by all who knew him. Frank made a difference in the lives of many. As an active Kiwanian he helped raise money and build hospitals and care centers. In fact, many Kiwanians with whom I spoke said lots of the stuff was Frank’s ideas in the first place. Frank was a founding member of HepCBC. He was a real soldier, showing up with his wife of 40 years, Arlene, at just about every demonstration and info session and volunteer opportunity as long as his health would permit. If, as they say, “the good die young,” then Frank was about 10 years old and enjoying every moment of it. God Bless you, Frank. Guy was only 44 when he passed away from liver cancer. He was, at one time, the head of the Richmond Support Group, but, as his hepatitis C worsened, Guy found it more and more difficult to continue his both his volunteer work and his life work as a professional counsellor–work which earned him a prestigious prize. His book, Fathers, Children, Family and Community, published in 1999 by Commoners’ Publishing, Ottawa, was considered such an important work by the Canadian Guidance Counsellors Association that they made him the recipient of their prestigious national Counselling Resources and Training Materials Award in May of 1999. Guy leaves behind family and friends who really loved him. What more can a person ask for. He is sorely missed and fondly remembered. David, of Victoria, victim of tainted blood, passed away in 2000. His condition was worsened by hepatitis C, according to his widow. We received the sad news from her daughter Muriel and son Scott of our dear Nancy’s demise last December 28, 1999. Nancy, 68, born in Scotland, was transfused in 1989. She also left behind her son, Ian, and two grandchildren. Some of you will remember Nancy from our meetings and rallies. Her unique elegance and bright smile will be sorely missed. We have lost another member here in Victoria. Gerard Lanthier was 49 years old when he passed away last June 15, 1999. He had been transfused in 1988, and his brother Marc, upon learning how sick he was, flew him out here, where he took care of him for the last 9 months of his life. Marc helped Gerard realize some of his dearest dreams by taking him to Mexico, and just before his death, to Tofino and Ucluelet. Gerard left behind his parents, other siblings, and two children in Toronto. Muriel Colli passed away on March 29, 1999. She was one of our first members, and attended meetings faithfully. She was at our February 24th meeting. She is survived by her son, daughter, grandchildren, and special friends. Muriel retired from Safeway after 28 years, and was a good friend to many. We will miss her. Al was one of our long-time members. Al Fortin, passed away on November 29, 1998. His wife and son reported this sad news to the office of HeCSC, Victoria, and said they will get back to us soon with more details. We offer our most sincere condolences. Michael, aged 75, passed away on September 6, 1998. Born in Barbados, he left behind his wife, Eileen, daughter Margot, son Jon, and their families, and many other relatives and friends. Mike worked 35 years with Shell Oil, nine of them in Trinidad. He enjoyed gardening, playing bridge and walking in the parks. Aged 70, of Surrey, BC, Donna passed away on August 4, 1998 of liver cancer. She is fondly remembered by her husband Alfred, her daughters, Cheryl O’Donnell and Karen Becker and her grandchildren, Justin and Seamus O’Donnell and Harlan Hudson. Her passing has not gone without notice. Jim had cirrhosis/end-stage liver disease and suffered a bleed. Jim was 53. He was being considered for a transplant, I believe, but this was too late. Jim served as office manager for a while. Jim was really loved by us all at the HeCSC Victoria office. He was efficient, kind, and inventive. He could always be counted on and made work easier for all of us. We miss him very much. A member of HeCSC Victoria, originally from Nanaimo, Annie passed away in July of 1998. Victoria Chapter has lost another long-time member of its group. On Sunday, July 13, 1997, Bob Hastings from Fanny Bay passed away from complications due to Hepatitis C. Bob was a musical promoter with Ace Bookings. The 45 year old, born on Vancouver Island, died at home. He is survived by his wife, Leona. A staunch member of Victoria’s Portuguese community, and hard- working stone-mason, Artur passed away peacefully in Hospice on Monday, May 19, 1997 at 3:30 AM. He is survived by his wife Fernanda, and his two children. One of our founding members, he was present from the very first meeting of the group here in Victoria, and remained an active member, still attending the meeting in March, where he let us know that he was investigating possibilities of a liver transplant. Unfortunately, his liver cancer was inoperable. We will all remember his friendly smile, his bright eyes, his firm handshake, and his fighting spirit. The family is requesting that donations be made to HepCBC in his memory. Artur’s well-attended funeral took place on May 22nd, at Our Lady of Fatima Church in Royal Oak. A regular attendee at HeCSC Victoria support group meetings, Brian passed away on February 27, 1996, at the age of 37. He had contracted Hepatitis C through a blood transfusion, and was involved with the class action suit. He was a member of our advocacy committee, and had just finished a 5 year course as a civil engineer/technologist. He is survived by his son Lochlan, his parents Merle and Gilbert Birks, and his soul-mate, Norma Bryant — also a member of our group. He will be sorely missed. A member of Victoria hepatitis C community, Mitch was 33, and volunteered with the VSCA. A year and a half before his death, he was given 3 years to live. He died poverty-stricken in July of 1996. He needed way more help than we were able to give him. Lee was a member of Victoria hepatitis C community, and father to 3 young daughters, passed away in the first part of 1996 at age 38, as a result of hepatitis C. He’d had an esophageal bleed that he was unable to recover from. His family requested that donations be made to the Chapter. Les was gentle, easygoing, and sensitive to others. A member of Victoria hepatitis C community, Robert passed away in 1996. He was one of the very first members of the HeCSC Victoria Chapter, and used to help print out the minutes, and participated in formulating a survey on symptoms. His wife, Margaret, served on the steering committee after his death.